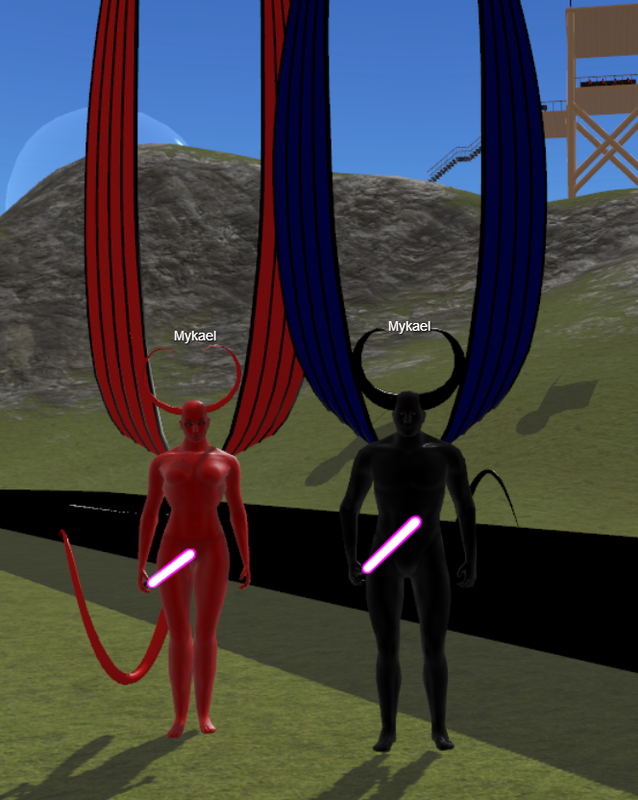 Mykael took his inspiration from balrogs when he created the male and female demon outfits seen in these pictures. Look at the huge wingspan! 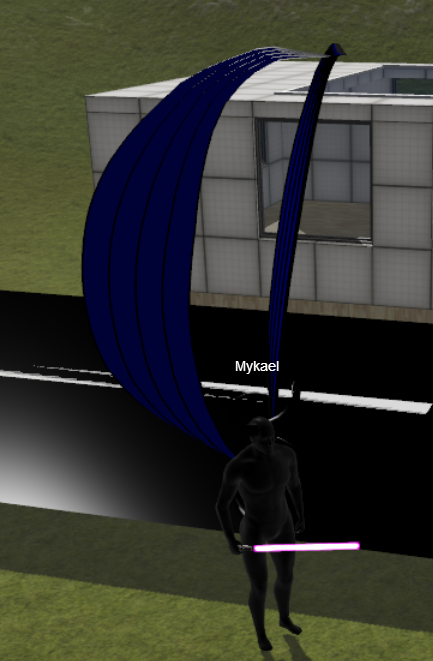 He says he "wanted to see how far he could push the avatar modeller". He is placing both outfits for free onto the Marketplace for Halloween, so you can go out and be a devil in this season of horrors! Thank you for sharing your creativity with us, Mykael.